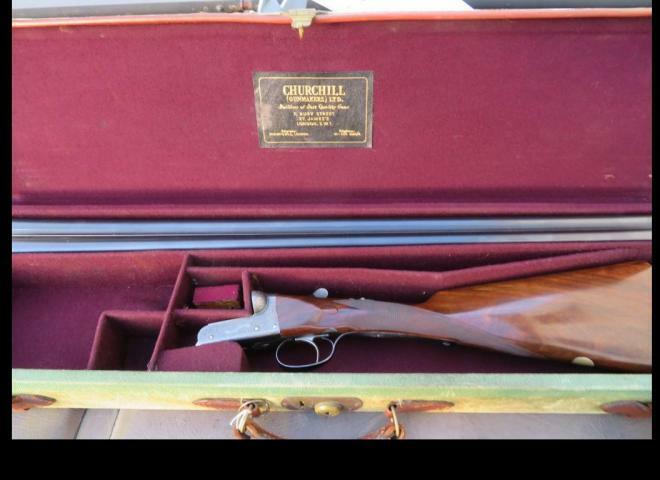 DBHE 12b Churchill Crown 25″ Single Trigger side by side shotgun for sale. 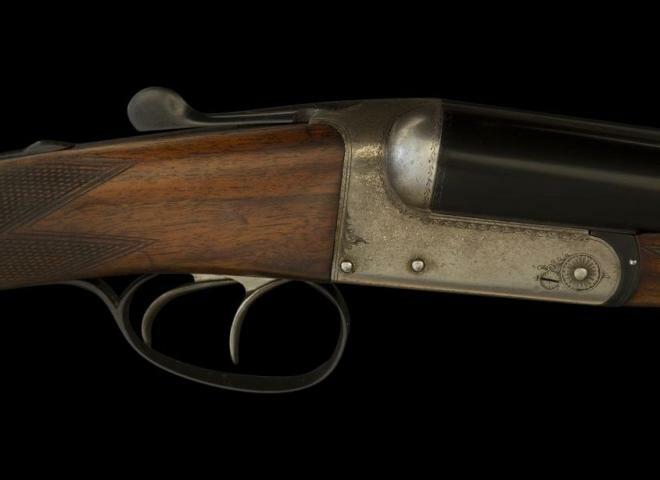 We are please to offer this delightful English box lock ejector shotgun by E.J.Churchill for sale on commission basis. - Built in 1936/37 and first sold on the 24/9/1937 to Brigadier-General H.R. Done C.M.G. (Companion of the Most Distinguished Order of St. Michael and St. George), D.S.O. of Haygrass House, Somerset. Price paid: £63. Churchill, E. J. 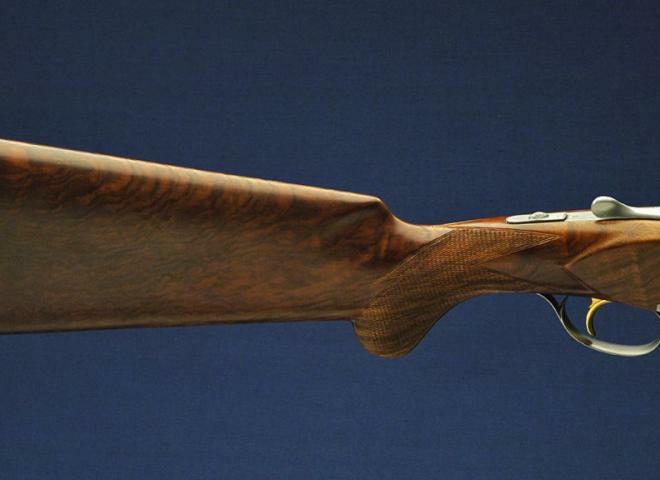 12 gauge Crown "SUPER TED"
Colour case hardened, pierced top lever. 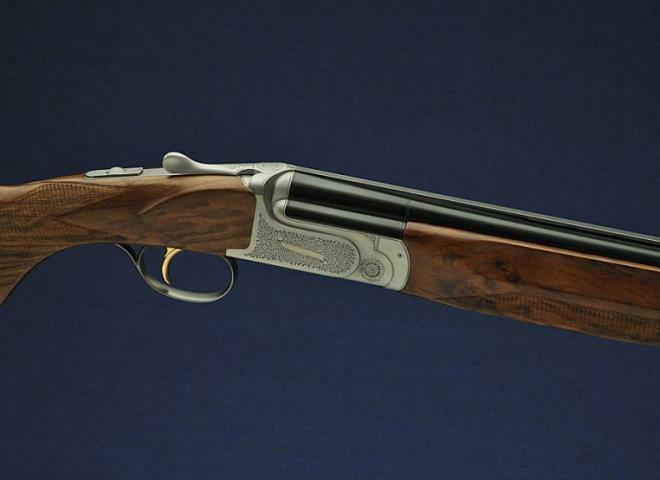 A fine pair of Churchill XXV 12g Side lock ejector shotguns. This is a good classic E.J.Churchill model 25. Retaining quite a lot of original colour hardening. There is a 1" silvers pad on the back of the stock. 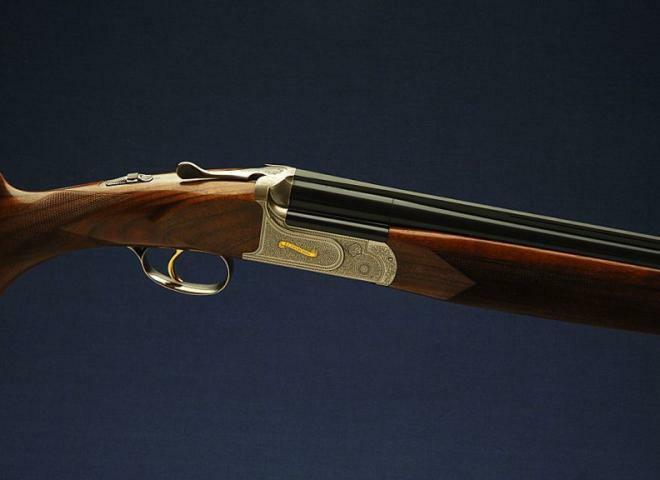 A very lightweight gun.